Special Containment Procedures: SCP-3952's area of operation is to be monitored by ground-based radar at all times, with civilian aircraft diverted from SCP-3952's flight path. As the main risk from SCP-3952 is its threat to normalcy, containment procedures revolve around concealing its anomalous characteristics. 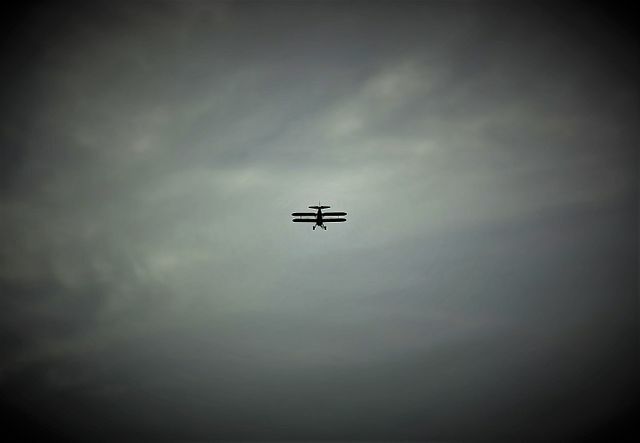 Site-1922 has been established with the guise of a private vintage aircraft restoration organisation ('Society for Conservation of Planes'), in order to provide a plausible explanation should the existence of SCP-3952 come to the attention of any individual, with at least one aircraft resembling SCP-3952 in constant operation. All efforts to apprehend SCP-3952 have been suspended indefinitely. Two AN/TWQ-1 Avenger surface-to-air missile systems are stationed at Site-1922 in case of emergencies. Description: SCP-3952 is a modified Boeing Stearman Model 75 biplane trainer aircraft. It has been painted in the livery of the British Royal Flying Corps1, although the RFC did not operate this model of aircraft. Two 7.7mm Vickers machine guns and makeshift gun-synchronisation apparatus have been mounted on the nose. SCP-3952 is constantly airborne without any requirement for fuel, ammunition or maintenance, and flies in a random pattern within a 400km2 area in northern Minnesota, USA. In addition to flying without clear direction or purpose, it performs aerobatic maneuvers, flies in a manner simulating aerial combat and occasionally discharges its guns (at no specific targets). While SCP-3952 is not hostile unless provoked, it displays further anomalous properties when threatened, including flying at speeds of up to Mach 3, resistance to forces of up to 12g and extreme turning capabilities and aerobatics such as the Pugachev cobra maneuver.2 In these situations, it has also been observed to exhibit localised reality-warping capabilities, involving short-distance temporal and spatial displacement and corporeal-incorporeal phasing. Foundation forces are prohibited from engaging SCP-3952, following the loss of two F-15C fighters operated by MTF Sigma-9 'Valkyries'. The pilot of SCP-3952, designated SCP-3952-1, is a white, mid-sized adult specimen of Canis familiaris (domestic dog). Obtaining further specifics of SCP-3952-1 has proven problematic as close attempts at monitoring tends to provoke threat responses from SCP-3952. SCP-3952-1 operates the controls with its paws, although its movements do not completely correspond to the maneuvers made by SCP-3952. SCP-3952-1 has no requirement for sustenance and does not exhibit the discomfort that would be expected from a non-anomalous member of its species in the same situation. Like SCP-3952 itself, it demonstrates resistance to high speeds and g-forces. Addendum 3952-1: SCP-3952's origin has been linked to PoI-17897 (Francis K. Lin, 1930-2002), a peripheral member of the anartist community in the Midwest and hobbyist pilot. Although his connections to SCP-3952 were not suspected until after his death, investigation of his estate and personal effects found purchase information for an aircraft of SCP-3952's model, vintage weapons identical to those observed on SCP-3952, and various paints and tools for aircraft maintenance. 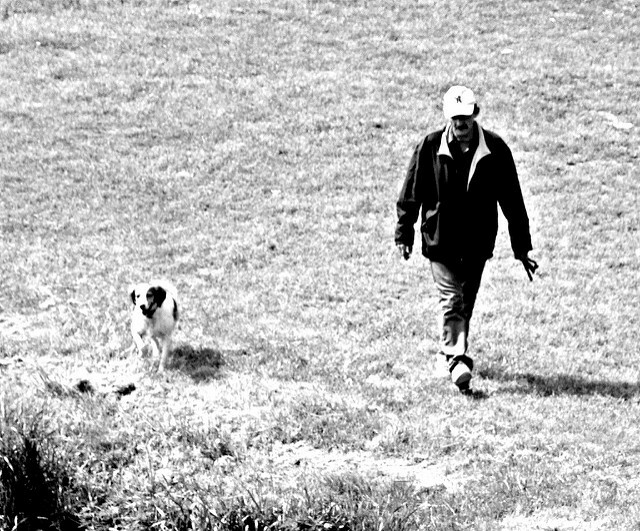 Additionally, it was noted he previously owned a dog ('Joe') matching SCP-3952-1's description from the late 1980s until its death in early 2000 of natural causes. The remains of this animal were exhumed and found to be non-anomalous. It remains unclear if and how PoI-17897 was responsible for SCP-3952's creation. However, the following message in PoI-17897's handwriting was found amongst his personal documents. It's a cliché to say those who have left us are somewhere up there looking down on us, but in your case I can believe that. I know the plane isn't quite right, but it was the best I could do. At least I didn't try and put the hat and goggles on you. You're going to be world-famous, even though you were always cooler than I was. The nights are dark and stormy without you, my friend. 1. WWI-era precursor to the Royal Air Force. 2. In which an aircraft raises its nose vertically while maintaining constant altitude.